Fiji are in camp ahead of their international friendly match against Indonesia next month. The Fiji national football team will meet Indonesia in an international friendly match at Patriot Stadium in Bekasi, Indonesia, on 2 September as part of their ‘Mission 2026’ plan. “Long term, we want to focus on qualifying for the 2026 FIFA World Cup,” Fiji coach Christophe Gamel said. “Before they would prepare a team only 6-8 months ahead. If it was that easy, everyone would do it, but it’s not like that in football. You have to work consistently and anticipate future competitions. 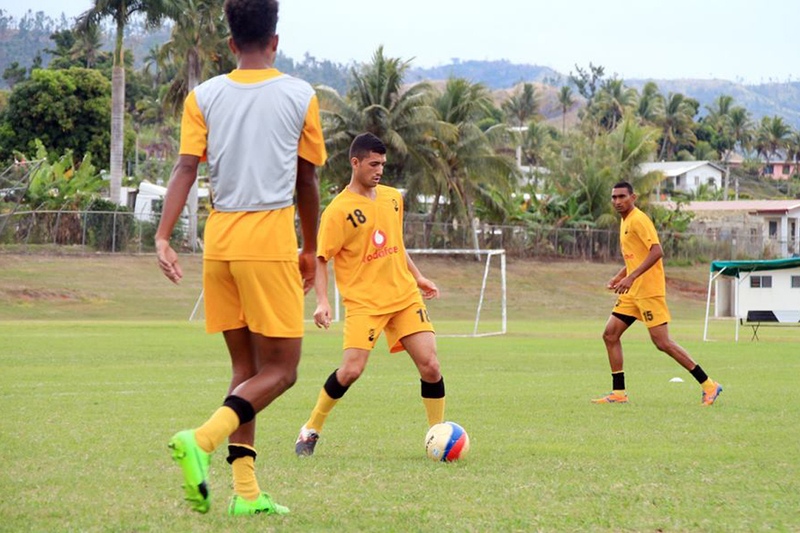 The team is currently in camp at the Fiji Football Association Ba Academy, where Gamel is prioritising the team’s development off the field as highly as their on-field training ahead of the clash. “They are all young and we will be facing a very good team,” he said. By bringing in recreational activities to help the players interact and enjoy during their down-time, Gamel has noticed a lift in the players’ confidence and a more positive atmosphere on and off the field. “The players need to be able to express themselves outside of the field. We have to be in the modern way,” he said. Gamel’s approach has proven very helpful for overseas-based players like Shravan Sharma, who found it easier to adapt to his new surroundings and slot in with the team in the fun environment. “My experience with the Fiji team is going well as most of the boys are new to the camp but I feel really welcomed,” Sharma said. The team will depart Fiji on 29 August for their encounter with Indonesia on 2 September. They will then play Indonesia Liga 1 team Persija Jakarta on 4 September before returning home.